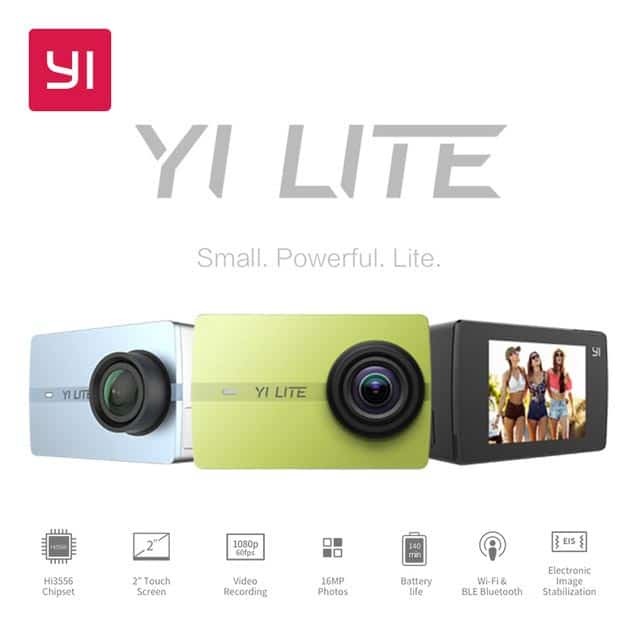 Xiaomi YI Lite 4K Action Camera packs many advanced technologies inside a tiny camera. It comes with an IMX206 image sensor, Hi3556 chipset, 1200mAh battery, 2.0 Inch LCD touch screen and much more. 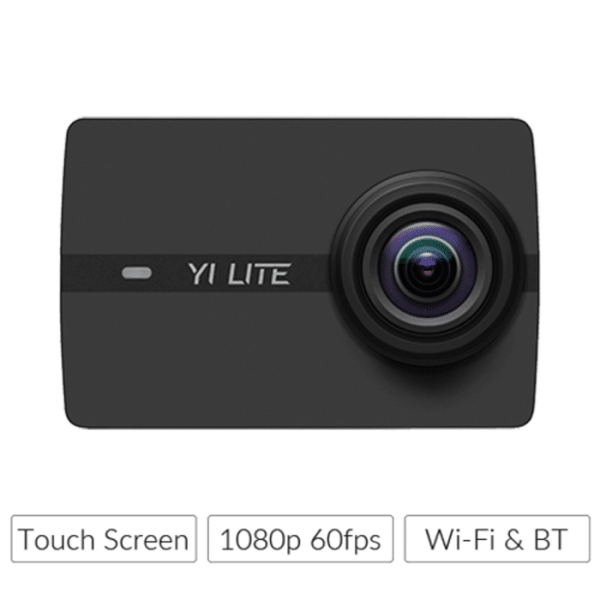 Your YI Lite 4K Action Camera can produce image and video of the highest quality you can imagine. Stay cool and don’t overheat. Its complex structure teamed with its powerful configuration allows the Xiaomi Yi Lite 4K Action Camera to efficiently record HD videos without overheating, even in warm environments. Stay cool and keep shooting! 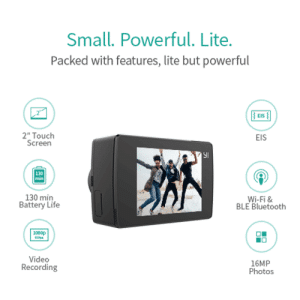 Whether you’re at a family barbecue, or at a festival with friends, the for SONY IMX206 image sensor can record each moment in full 1080p HD, and capture 16MP photos. Turn those cherished moments into clear, crisp memories. The f/2.8 aperture allows more light to reach the image sensor, combine that with a 150° wide- angle 6-layer high-quality glass lens and the Xiaomi Yi Lite 4K Action Camera can capture every exciting moment. It delivers clearer, crisper shots, even in low light. Your eyes might miss it, but your YI Lite won’t. Go wild and watch it wherever. The integrated Gorilla Glass LCD touchscreen resists scratches and daily impact, so you can go wild on your adventures with less risk of damaging the screen. 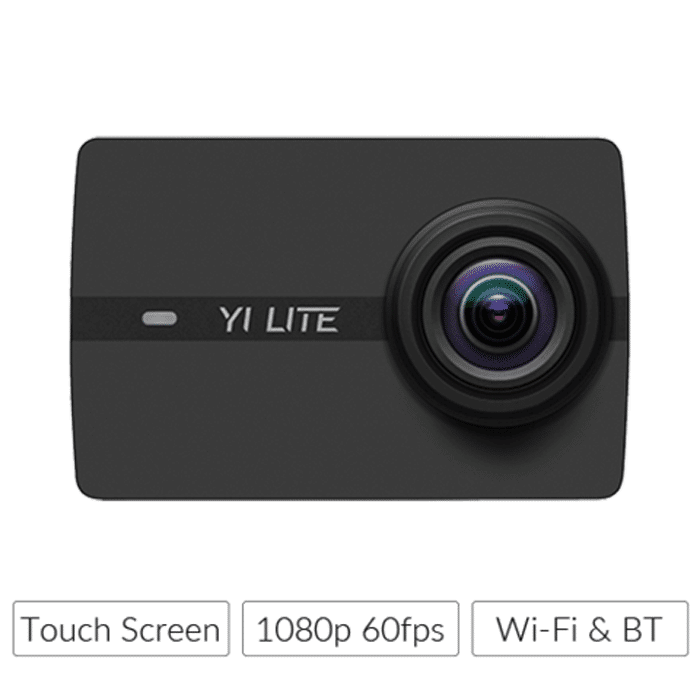 The Xiaomi Yi Lite 4K Action Camera has one of the most intuitive interfaces you’ll find on an action camera, giving you a user experience as instinctive as your smartphone. 1200mAh Large Battery130 minutes of battery life at 1080p/60fps help you focus on shooting instead of counting battery life. Using built-in dual-band Wi-Fi (2.4GHz & 5GHz) your Xiaomi Yi Lite 4K Action Camera can download at 50Mbps and seamlessly connect to your smartphone within a 330ft (100m) range. Instantly share moments to your favorite social media channel. Stay in control with Bluetooth 4.1 and connect the optional Bluetooth Remote. 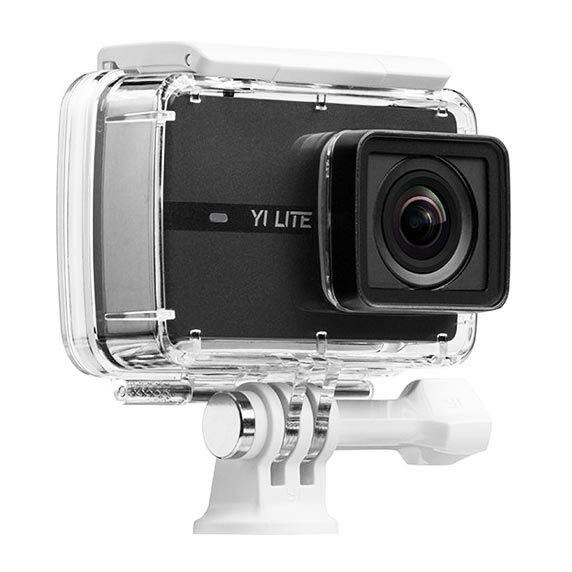 Stop/start recording and take pictures up to 10 meters away from your Xiaomi Yi Lite 4K Action Camera. Use the YI Action App to see exactly what your camera sees and control settings, switch modes and stop/start recording. Designed to withstand extreme environments. Equipped with the waterproof case, durable waterproof to 98 Feet (30m). Ideal for water sports like swimming, drifting, surfing etc. 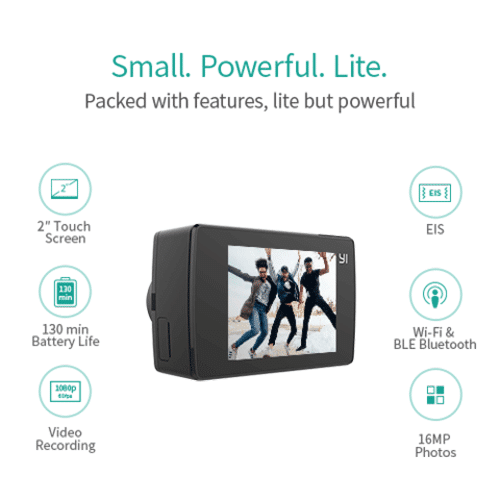 With adjustable Video mode, photo in video (PIV), normal, slow-motion, time-lapse and loop recording you’ll never be lost for the perfect shot. Get creative and experiment with 4 different photo modes: Photo Mode, Burst Mode, Lapse Mode and Timer Mode. Video & Photo Record video and capture Time Lapse photos at the same time.